First off, this book is definitely a labor of love. Long before there was any publication planned, author James Eatock was compiling information and assimilating it online with the help of a myriad of other fans. Slowly, painstakingly, he assembled an episode list of the correct titles and summarized/reviewed them for the rest of us. Keeping in mind this was the infant stage of the internet as we now know it, and the resources we have now with massive search engines weren’t in existence yet. As time went on, Eatock and his friends were able to meet the former creators at Filmation and discover even more secrets and treasures about both shows. 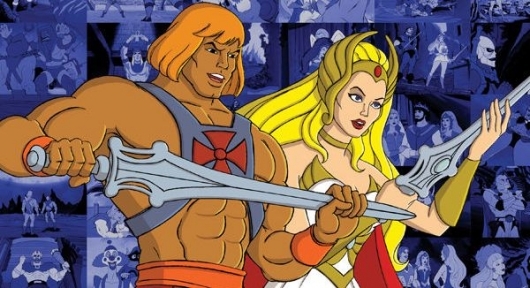 With 130 episodes of He-man and 93 of She-Ra, there was much to discuss! As time went on, physical memorabilia from the producers made its way to Eatock, much of which is displayed in this very book. Ever the researcher, he has assembled this in such a way that it is a definitive reading guide and is annotated throughout to offer the most inclusive history of these two series to date. Broken into six large sections, this volume speaks to each season individually. 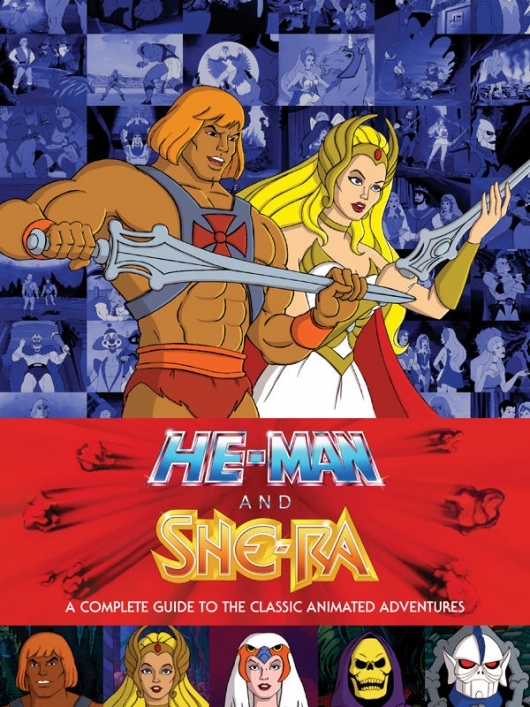 Essentially the first two chapters are about two seasons of He-Man, the next two deal with the two She-Ra seasons, while the fifth one details the special episodes and the movie. The final chapter grants us a look at the lost episodes that were never finished for one reason or another. Dispersed throughout all this are rarities that most of us would have never seen or heard of, making this book a gem for any fan. The details of each episode within the first four chapters are formatted to be a helpful guide for each one individually. Broken to sections, it creates a multifaceted view of an episode, allowing the data to be understood in the easiest way possible. There is a voice cast list, a synopsis of the episode, a small section of memorable quotes, a breakdown of the moral that permeates that particular show, and several more flexible sections. I summarize the last few sections as flexible because they are more fluid in nature, meaning not every episode contains the same dissection. Each one has a deleted scene category, a same/as section if certain animation was reused in other episodes, as well as a bonus and trivia sub-section. These last few may be heavily laden with details or might just have a fun fact or five. This of course all hinges on what information was made available, if any, to the author for inclusion in this guide. My favorite part of it all would have to be the diagrams and illustrations from the creators. The fact that anyone was able to save so much from a series thought long gone is nothing short of amazing; the collector in me is humbled by the thought of so much being preserved for posterity. I must also note that Eatock is above all else an expert on He-Man and all things that pertain to Eternia and The Masters of the Universe. His knowledge of She-Ra was not as vast so he enlisted Alex Hawkey to assist on those parts; he acknowledges Hawkey as being the greater scholar of She-Ra: Princess of Power. His help and expertise on chapters three and four were crucial to this guide. Chapter Five is exclusively reserved for detailing the direct to video movie adaptations, the early exclusive specials, and the crossover Christmas special. The layout for this chapter is similar in form to the previous ones but contains far more information in each synopsis, almost as if they were full dissertations. Where the others were summarized, these are far more detailed and inclusive. The final chapter deals with all the episodes that never quite made the cut. Whether they were just not made for premise issues, or perhaps approved but never fully finished, this section gives a brief overview of the episode and the titles, if available. Rounding out the book is a cutaway view of the unforgettable Castle Grayskull and a dedication to Lou Scheimer, a man without whom these cartoons might never have been created. His work, both behind the scenes and as a voice actor, has forever linked his name to Filmation and the amazing cartoons they created for Mattel. I cannot even begin to list the treasures within this book, they must be seen to be believed. I have tried to outline as much as I could, however. With anywhere from two to eight pages dedicated to each episode, there is no way I can do justice to this book in a simple review. You really must experience it first hand, folks. Buy it for yourself or as an early holiday gift for that special someone, but please do check it out. It is the ultimate homage to He-Man and She-Ra.